"...brightly colored silks now ran through the streets of Paris like water - Persian blues and greens, startling oranges and golds. Inspired by the orientalism of the Ballet Russes, Paul Poiret dressed women in culotte harem pants and fringed turbans, and ropes and ropes of pearls. In sharp contrast, Chanel was also beginning to make her mark, and you saw splashes of sharp, geometric black amid all that color. More and more, chic meant a shingle-bob and deeply lacquered nails and impossibly long ivory cigarette holders." I thought I'd share a recent source of inspiration - this passage from a very engrossing book I'm reading about Ernest and Hadley Hemingway's marriage, written by Paula McLain. 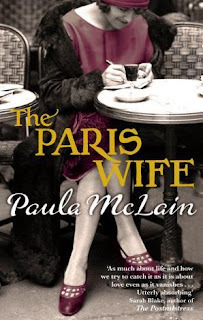 In hope you enjoy this fashion dip into Paris in the 1920s!